Couples and families with older teens who like to have the feel of sailing mixed with an upscale cruise experience. Children, as well as anyone who needs a lot of organized activities: Socializing with shipmates and gazing at the scenery are the main pastimes when not in port. Renovations freshened the nautical look Windstar does so well. The ships' retractable marinas let passengers water ski, sail, kayak, and snorkel off the ships’ retractable marinas three to five times a week. Sail-away includes a sunset barbecue buffet on deck — a spectacular way to leave gorgeous ports like Dubrovnik and Santorini. The poolside Candles restaurant on Wind Star and Wind Spirit serves well-executed casual fare, including shish kebabs that rival those in most ports. Windstar's DVD collection offers 400 choices. All nonalcoholic drinks are included. The spa and gym are outstanding on Wind Surf, which also has an outdoor jogging track. 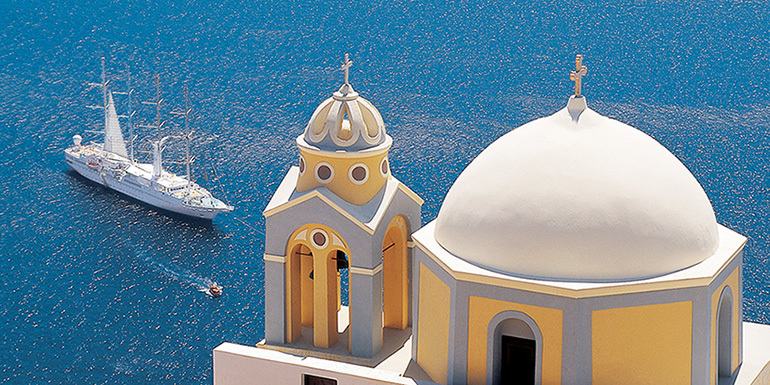 Three ships from Seabourn will be added to Windstar's fleet by 2015, allowing the line to offer more exotic itineraries. These feel like fake sailing ships — the sails look majestic, but the engines propel the ships. The gyms and spas on Wind Star and Wind Spirit are tiny. The cruise line doesn’t offer Wi-Fi in cabins. What has your experience been like on Windstar Cruises?